In a bid to return power to the North and maintain the zoning formula of the Peoples Democratic Party (PDP), northern leaders have now formulated a game-plan in which three presidential candidates will be deployed to checkmate President Goodluck Jonathan in the contest for the 2011 presidential ticket. The strategy devised by a group of northern elders known as G-15 led by former finance minister, Mallam Adamu Ciroma is built around former military head of state, General Ibrahim Babangida, former Vice-President Atiku Abubakar, and Kwara State Governor, Dr. Bukola Saraki. According to the gameplan, the three men have been encouraged to go to the field and mobilise support across the 36 states for their aspiration. A source said the three men under the guidance of the northern elders in the G-15 will later hold a meeting few days to the PDP presidential primaries to assess their strengths, weaknesses, the extent of their support, their electability and ability to defeat President Jonathan at the primaries as well as win the general elections. “Based on these criteria, one of them will be endorsed as the candidate of the North. The leaders have already made the aspirants to agree that they are in the race as representatives of the geo-political region and they cannot afford to fail or undermine the arrangement in place,” the source said. He added that the three aspirants have agreed that whoever is eventually endorsed will enjoy “total, unflinching support” from the other two and from the period of his endorsement, he will be sold to the entire nation by the other two and all key northern elders, most especially members of the Ciroma-led G-15. According to THISDAY checks, the three aspirants were selected based on the strategic, political interests and constituency they represent in the geo-political region. Babangida was selected to represent the North-west and North-central. Former Vice President Abubakar was selected to represent the North-east and because he has an old nationwide political structure, the Peoples Democratic Movement (PDM), which though not too active at present, but can be re-energised for a nationwide campaign prior to the general election. Saraki was encouraged to join the race as the aspirant representing the northern minorities and the Middle Belt after former Senate President, Dr. Iyorchia Ayu declined. The Kwara State governor was found to be a good material from the Middle Belt because of his influence among the 36 state governors. Saraki is the chairman of the Nigerian Governors Forum (NGF), a position he has occupied since 2007. Apart from his ability to carry along the governors who wield a lot of influence in the PDP presidential nomination process, the Kwara State governor is also seen as representing the youths and his candidacy portray the eclectic nature of the north. “We mean real business. We need to demonstrate that the North is one and that our political sagacity can be deployed to ensure a robust but clean contest for the post-2011 presidency. This strategy will help to ensure free, fair and peaceful polls next year,” said another Northern elder who was contacted to confirm the region’s four-man strategy against President Jonathan. Northern elders have been insisting that the PDP zoning arrangement should be maintained in the choice of the party’s presidential flagbearer for the 2011 polls. The arrangement, they said, will ensure that in the same manner the South retained the presidency between 1999 and 2007, the North also should also hold power for two terms of eight years, despite the death of former President Umaru Yar’Adua, a northerner, less than three years into his first term. Why should somebody like IBB and Atiku who should be in jail, be allowed to contest an election in this country again? Is Nigeria their birthright? 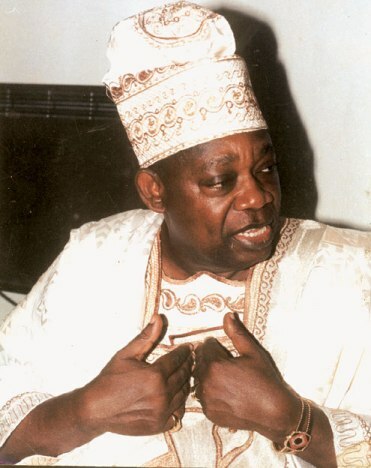 Prior to 1999…the north, particularly the Hausa speaking majority has always been at the helm of power…except for the break by Obasanjo when Muritala Muhammed was assassinated and Ernest Shonekan when the “evil genius” decided to step aside.Therefore out of the 50 years this country has existed the north has ruled for 40 of those years and the result is the undermined Nigeria we have today.Ruling Nigeria is not the northerners birthright…there are a lot of other credible people in this country…let them have their chance…how will the northerners feel if they were schemed out of ruling this country for the next 40years….the shoe doesnt look so good when its on the other foot does it????? INFACT, THE PRESENCE OF THESE THREE MAN IN PDP PRESIDENTIAL RACE IS VERY GOOD AS IT WILL NOT ONLY BRING SOMEONE CAPABLE BUT ALSO SOMEONE WHO CAN LEAD THIS COUNTRY TO A GREATEST LEVEL. BUT FOR UNKNOWN NAME, WHO SAID GOVERNOR BUKOLA IS NOT AS POPULAR AS THE OTHERS TWO ASPIRANTS, LET ME TELL YOU. THERE IS NOBODY KNOW GOVERNOR UMAR MUSA YAR’ADU FROM KATSINA AND JONATHAN EBELE GOODLUCK AZIKWE KNOWN AS (JEGA) BUT PEOPLES ONLY KNOW YARDUA FAMILY AS AN ICON AND LEGEND AND GOODLUCK AS A DEPUTY GOVERNOR WHO RAISED TO FROM DEPUTY GOVERNOR TO GOVERNOR, BUT IF YOU HAVE NOT YET KNOW GOVERNOR ABUBAKAR BUKOLA SARAKI YOU MUST HAVE HEARD ABOUT THE CHAIRMAN GOVERNORS FORUM EXCEPT IF YOU ARE NOT REALLY IN NIGERIA. IF GOVERNOR ABUBAKAR BUKOLA SARAKI WAS GIVEN CHANCED TO DO IT YOU WILL SEE THE POSTIVE CHANGES IN NIGERIA. they should rule. Let’s just agree because it makes perfect sense… I’ll just like to add that the North should allow the South to rule for the same number of years that the North has ruled. If anyone considers this reasoning nonsensical, then the issue of allowing a Northerner to automatically step into Yar adua’s shoes and lord it over Nigeria is not just nonsensical, but stupidical. My fellow Nigerian for how long are we going to continue & allow d so called Mr IBB & Mr Atiku to toy wit our intelligent in dis country.If I may ask was presidency their birthright. 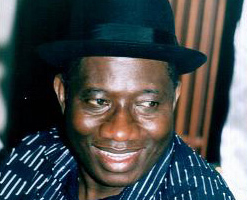 Let us cast our vote 4 Humility,credibility & accountability.Which is Dr.Goodluck Jonathan.